It was a night dedicated to a legend as the Phoenix Suns and Dallas Mavericks tipped-off on Tuesday night, but a different legend stole the show and made NBA history. The Suns ended their season the same way it began, against the Mavericks, but unlike the season opener, this game included two of the greatest to ever wear an NBA jersey: Jamal Crawford and Dirk Nowitzki. Both players were inactive in the first matchup of the year, but were suited up and ready for action as the Suns looked to close out their season. 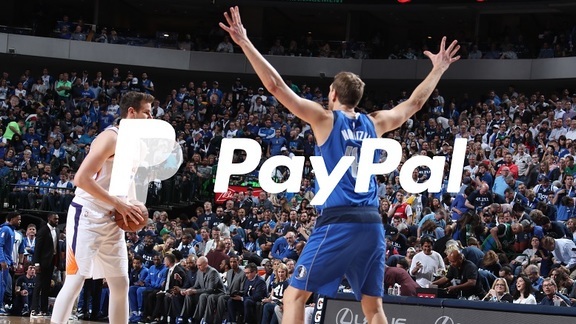 The night was focused around Nowitzki as the 21-year-pro was set to play in his final home game of his career before retiring at the end of the season. And the 40-year-old put the Suns to work early. By halftime, Nowitzki already had a game-high 19 points as he led the Mavericks to a 30-point lead entering the break. Crawford led the Suns with 12 points in the first half, but the man his teammates call “OG” was just getting started. Crawford reach 25 points by the end of the third quarter as he helped trim the Suns deficit to 19. Nowitzki had him one-upped after three with 26 points as they became the first opponents 39 years old or older to score 20-plus points in the same game. After scoring 28 and 27 points in the previous two games, Crawford also joined Kobe Bryant as the only players with three-straight 20-plus point games in their 19th season or later. While both legends were having historic nights, no one was prepared for what Crawford had in store for the fourth quarter as he looked to bring the Suns back into the game. Crawford scored 12 straight points for Phoenix to open up the final quarter as he single-handedly went on a 12-2 run to cut the Mavericks lead down to 10 points and bump his scoring total up to a season-high 37 on the night. Crawford then found both Dragan Bender and Josh Jackson for layups, followed up by a couple of his own free throws and topped off with a three-point hit. Through his scoring and playmaking, Crawford had brought the Suns to within just five points. While the Mavericks began to pull away in the final minutes, Crawford’s biggest moment came with just under 25 seconds remaining. Jimmer Fredette found Crawford driving as the veteran laid-up the shot to give himself 51 points on the night. 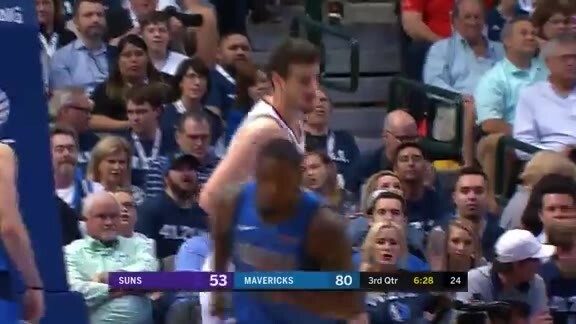 While Nowitzki and the Mavericks closed out the game and the Suns season with a 120-109 victory, Crawford walked away with his name in the history books. At 39 years and 20 days old, Crawford surpassed Michael Jordan as the oldest player in NBA history with a 50-point performance. He also became the first player ever to score 50-points as a member of four different franchises (Suns, Warriors, Knicks, Bulls). “My teammates were finding me, coach was drawing up great plays and I just had to get lost in the game,” Crawford said. The three-time SixthMan of the Year recipient is known for getting buckets off the bench, but even he had never accomplished this as his 51 points are the most by a player that did not start the game since starts officially began being recorded in 1970 (Elias Sports Bureau). Aside from the 51 points, Crawford also dished our five assists and grabbed five rebounds, becoming just the fifth player this season to do so (James Harden, Giannis Antetokounmpo, Kevin Durant, Damian Lillard). But when asked about his historic performance, Crawford gave all the credit to the guys around him. While the Suns season may have come to an end and with free agency luring in Crawford’s future, there may be some question marks heading into next season, but it’s definitely clear that the 39-year-old can still get buckets.